When making this Lamb Osso Buco recipe, I substituted lamb shanks for the pork shanks originally in the recipe (plus a few other changes). This is a delicious version of Osso Buco using lamb shanks instead of veal or pork shanks. I know that this version is sure to please your family and guests. I adapted this Lamb Osso Buco recipe from the cookbook, Not Afraid of Flavor, Recipes From Magnolia Grill, by Ben and Karen Barker (University of North Carolina Press). The Magnolia Grill Restaurant is located in Durham, North Carolina. Every dish served at this wonderful restaurant is outstanding! More of Linda’s wonderful Lamb Recipes. Also learn How To Cook Perfect Boneless Leg of Lamb. Combine the molasses and vinegar in a bowl and stir to mix (I like to use large resealable plastic bags for marinating). Add the wine, bourbon, bay leaves, garlic, rosemary, and red pepper flakes. Mix well and marinate the lamb shanks in this mixture, refrigerated for 24 hours. Turn the lamb in the marinade occasionally. Remove from refrigerator 1 hour before cooking. Remove the lamb from the marinade, wiping off any excess and season liberally with salt and pepper. Reserve the marinade. Heat a large, heavy skillet over medium-high heat; add olive oil. Sear the lamb shanks on all sides until deeply browned. Transfer lamb to a deep oven-proof baking or roasting pan large enough to hold the lamb in one layer. Pour the reserved marinade over the lamb and add chicken stock to the level of the top of the lamb. Cook over high heat until the liquid comes to a simmer; remove from heat. Cover pan tightly with a lid or aluminum foil and transfer to the bottom rack of the oven. Cook the lamb for 1 1/2 to 2 hours or until meat is meltingly tender. 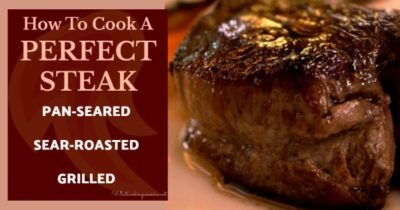 To test, insert a knife or skewer into a thick section (there should be no resistance and the juices should run clear). Remove from oven and cool completely at room temperature; refrigerate lamb and braising liquids, covered, overnight. Prepare Creole Baked Beans; refrigerate until ready to serve. Prepare Arugula Gremolata; set aside. Remove the lamb shanks (with the braising liquid) from the refrigerator; scrape all the congealed fat from the surface and warm in a pan over medium-low heat for 10 minutes. Lift the lamb from the pan to a platter. Strain the solids from the braising liquid and return all but 1 1/2 cups of the braising liquid to the roasting pan. Return the lamb to the pan and warm over medium heat to heat the lamb thoroughly. Keep warm. Transfer the reserved braising liquid to a saucepan; bring to a boil over high heat. Reduce heat to medium and cook, skimming impurities from liquid, until reduced by half. Season with additional salt and pepper if needed and keep warm. Heat the prepared Creole Baked Beans in a saucepan until warmed through. Season with salt and pepper; add the oregano and parsley. If needed, adjust the acidity with cider vinegar. Divide beans between six warm wide-rimmed soup bowls. With a slotted spoon, lift the hot lamb osso buco from the braising liquid and place one in each bowl on top of the beans. Spoon reduced braising liquid over the Lamb Osso Buco and divide the Arugula Gremolata on top of each portion. Serve immediately. Prepare Creole Spice Blend; set aside. In a large heavy pot, heat olive oil. Add the onion, celery, and pepper; cook until softened and lightly caramelized. Add garlic, bay leaf, red pepper flakes, and Creole Spice Blend; cook 2 minutes. Stir in the brown sugar, mustard, tomatoes, drained beans, and enough chicken or lamb stock. Stir well, bring to a boil; cover pan with aluminum foil and then a tight-fitting lid. Transfer to the oven and bake for 1 1/2 to 2 hours; check the stock regularly and add more if necessary. Cook until the beans are tender and most of the stock is absorbed. Season generously with salt. Refrigerate overnight or longer (the flavor improves is these beans are made 1 to 2 days in advance. Combine all the ingredients in a spice mill or small electric coffee grinder. Grind until smooth and uniform. Cover tightly to store. In a small bowl, toss the arugula leaves with the olive oil, salt, and pepper; set aside.